Yesterday I posted the above picture and asked for guesses as to where it’s located. There were some really good guesses and some people knew the answer! 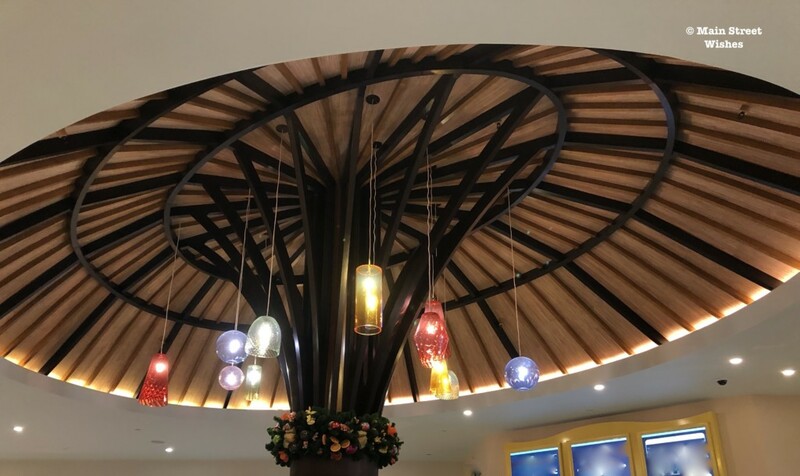 This light fixture is located at the Centertown Market at the Caribbean Beach Resort. This area was recently renovated and opened this past fall. The lighting fixture is located near the ordering queue line. The theme of Centertown Market is an outdoor Caribbean marketplace and the lighting fixture is made to look like an outdoor thatched umbrella. There are bright colors all around and it’s very open with lots of windows. I only had breakfast here one day, but I enjoyed the surroundings and found it to be a pleasant place to eat and there’s plenty of seating so I didn’t have a problem finding a table. The Centertown Market serves breakfast, lunch, and dinner. I had breakfast here one morning and ordered the Strawberry Guava French Toast, which is stuffed with guava cream cheese and topped with fresh strawberry guava and cream cheese sauces. The presentation wasn’t the best, but I thought it tasted pretty good. They also have regular french toast with maple syrup if you want to skip the guava cream cheese. Also available is the Centertown Market Grab & Go. 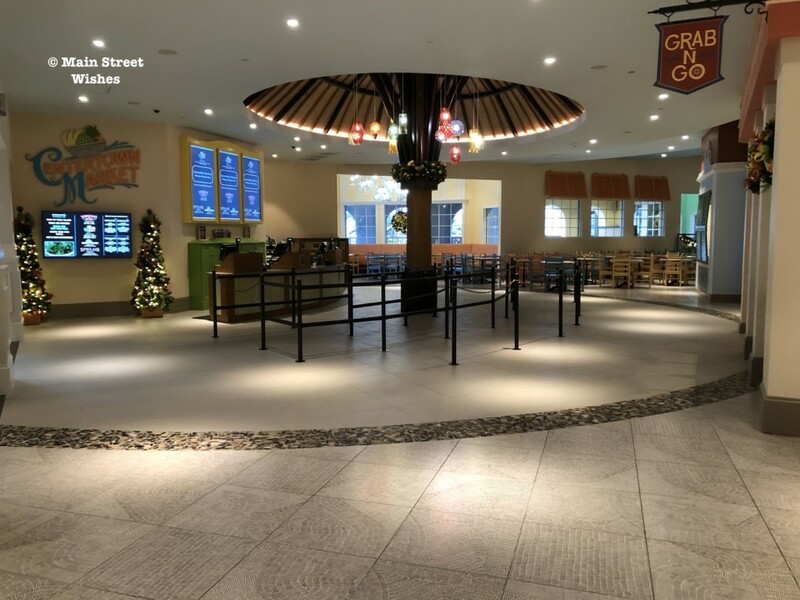 This grab and go market offers fast meals guests can pick up if they don’t want to wait for their order at Centertown Market. Thanks to everyone who played along this week and congratulations to those that knew where the light fixture is located! We’ll play again next Wednesday! Have you been to Centertown Market yet? What did you think? « Where is it Wednesday: Where on Disney World Property is This Light Fixture Located?